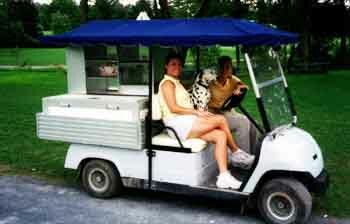 Our Food and Beverage Cart is on the course most days, at peak season. 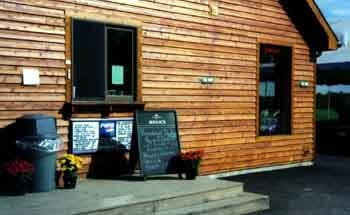 It is fully stocked with hot and iced drinks and snacks to meet your needs. In addition, from the 9th Green you will be making the turn around the back of the Clubhouse and passing our Snack Bar Window. Hotdogs are always ready for you as well as any beverage or snack you may like. Inside our Clubhouse Tavern a full service bar is awaiting your arrival with music,2 -42" flat screen television sets, bar seating up to 15, plus 50 at tables. A Light Fare Menu is available with daily special dishes offered.